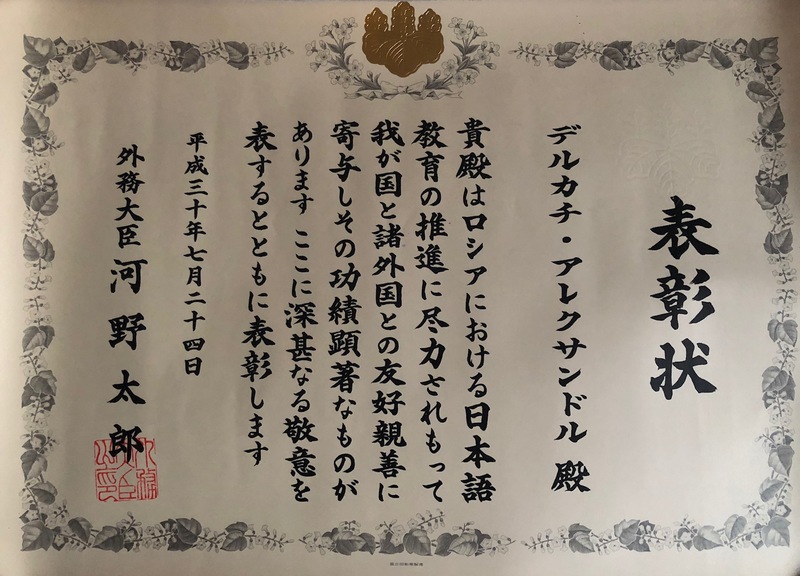 On November 19, Alexander Derkach, Associate Professor at the MCU Department of Japanese Language was awarded with a Scroll of Honor by the Japanese Ministry of Foreign Affairs. Professor Alexander Derkach has made a significant contribition to the Russian-Japanese relations, cross-cultural understanding and teaching Japanese language in Russia. 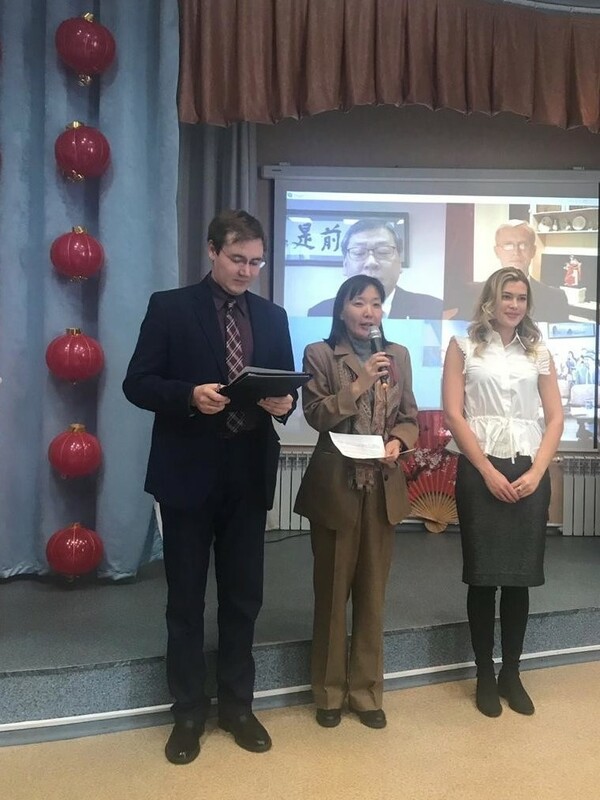 The Award Ceremony took place on the Opening Day of the new Japanese Language and Culture Center in Petropavlovsk-Kamchatsky. The Center is a collaboration project of the Kamchatka branch of the Russian University of Cooperation and Kamchatka Cooperation College. The event was attended by the Consuls of Japanese Consulate in Vladivostok Oikawa Keiko and Murata Masahiru. A teleconference bridge was arranged to connect Professor Alexander Derkach in Moscow, representatives of the Ministry of Foreign Affairs in Japan and the participants of the Opening Ceremony in Petropavlovsk-Kamchatsky.